I recently had the pleasure of working with local photographer Scott Cunningham of CMH magazine (www.cmhmag.com) for a photoshoot with local celebrity Dominique Reighard of America's Next Top Model Cycle 10. The shoot was for a print ad for my dentist Dr. Schumann of Grove City Dental. Dominique arrived to the shoot looking flawless, and not a stitch of make-up on. We talked about all her new endeavors, and more. The look I wanted to go for was natural, pretty, fresh, and clean. Her teeth were the focal point, and so an impeccable precise lip was a must. Here we are doing touch-ups in between takes. Of course you all know I brought out my secret weapon: The Shimmer Brick by Bobbi Brown, and applied it to the apples of her cheeks.. Mac cremestick lip liner in: 'Ginger Root' was applied, with Sugar High Beauty Rush Lip gloss on top. A well defined eye in Sand and Sea Pallete by Estee Lauder, with individual lashes strategically placed, really made her eyes pop. And here we are! The final product! Doesn't she look flawless? Do you want to achieve her pearly whites? Hop right over to my dentist Dr. Shumann, at Grove City Dental. Let them know your a client of mine, and receive a fabulous deal on Zoom Tooth Whitening! Give them a call at: 614-305-7500, or visit them online at: www.grovecitydental.com They have taken care of my teeth for years, and I love them! Stay tuned cookies! On my next posting, is another "Gorgeous Gal Alert!" I could not possibly be the only gal out there who fondly remembers watching her grandmother do the, "strangest faces" in the mirror every night :) Grandma was on to something. Facial exercises have been around for centuries, and have amazing benefits! Plus, I am all about saving you money.. This is perfectly free! The muscles that surround the eyes - the circular orbicularis oculi muscles. When these muscles are worked, the small eyelid (palpebral) muscles are also worked, preventing hooded eyelids. 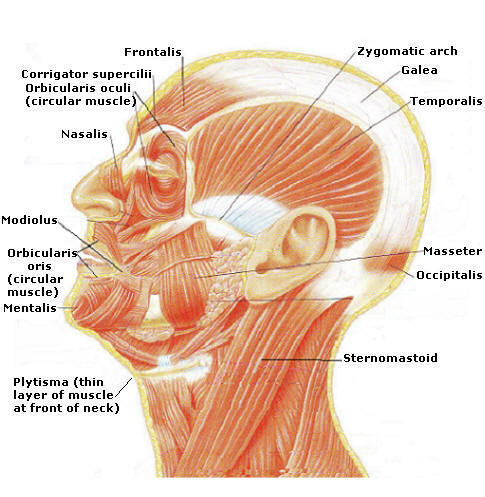 The muscles at the front of the neck - the platysma and sternomastoid muscles. These muscles when they are toned up give a vigorous, vibrant, youthful appearance to a person. The jaw muscles - the masseter and others. You don't have to be concerned about these because they get enough exercise when you chew food. Facial exercises are great for fighting wrinkles, and promoting a smooth, ageless, anti-aging skin, to really help you achieve that youthful looking you again. Sit down straight. Tilt your head back. Pull down the neck skin with your hand collarbone-high and keep holding so while you are exercising. Then pull your lower jaw forward and press your lips together. Hold in this position for 2 seconds. Then release for another two seconds and repeat again. Make 30 repetitions daily. You will feel the neck muscles and skin stretching. One doing this exercise looks like a fish in an aquarium. Lie on your back with straight legs and hands on the floor near your thighs. Press your chin to your chest and hold in this position for 2 seconds. Then slowly tilt your head back, then again slowly press your chin to you chest. Make 25 repetitions. Lie on your back with straight legs and hands on the floor near your thighs. Lift your head up, so that your chin is the highest point of the head, hold it for 2 seconds, then slowly release and lay your head down. Make 30 repetitions. You should feel your neck skin stretch. While you are doing these exercises make sure, that the rhythm of your breath is the same as the rhythm of your motions. For example, breathe in, as you lift your head and breathe out, as you lay your head down. Well, give them a try! Send me an e-mail to say how it is working for you! Your never too young to start! At $40.00 dollars a pop however, this can be a little bit of a stretch for some. The shimmer bricks give a nice luminescent healthy glow in pictures. Guess what cookies? Physicians Formulas makes the same product for $10.00! The pigments are just as rich, it is just that the compact is smaller.. Target is now selling these bricks for TWO FOR $12.00!!!!!!!!!! Yes! This is at most Target stores, so hurry while supplies last! Here are the fabulous shimmer bricks by Bobbi Brown.. 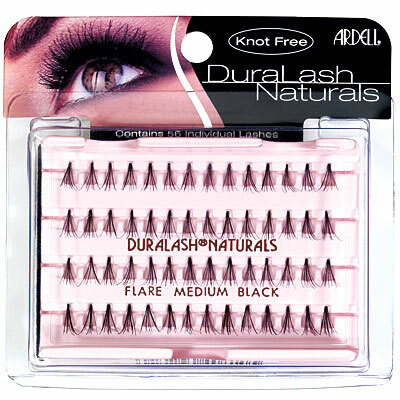 Here is one of my fav's by Physicians Formula. Don't let the shade fool you. This color works on the tannest of skins..
See how Hayden's cheeks are so luminescent? Not shiny, but glowy..
And Jennifer Aniston.. Again, very glowy.... Note.. For these two fabulous celebs, their own personal make-up artists supplied the make-up. My bride here.. Positively radiant! The shimmer brick is the way to go! Okay, so I will spill the beans on this one.. ;) Rachel is wearing, 'healthy glow' by Physicians Formula! Amy is wearing Bobbi Brown.. See? It is hard to tell the difference.. So, what are you waiting for cookies? Head over to Target today, and pick these up! If you feel like splurging, head over to my beauty boutique, and purchase the Bobbi Brown. Either way, this is a must have in your make-up bag! Hello cookies! 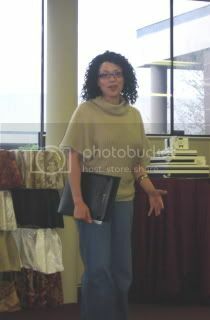 I recently had the pleasure of being a guest speaker at the Columbus Bridal Consultants monthly meeting. When I received the invitation from Heather Smith of 'Bridal Smiths', (www.bridalsmiths.com), and Jamie Rapavy of 'Devoted To Details' (www.devotedtodetails.com) I jumped at the opportunity. 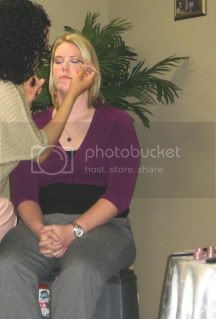 Not only did I get to interact with other fabulous wedding vendors, but I got to do live make-overs! What fun! Special thanks to Emilie Duncan Event Planning, (www.emilieduncan.com) for being gracious enough to snap a few photos for me. Here I am! Giving my bio, and professing my love for what I do.. 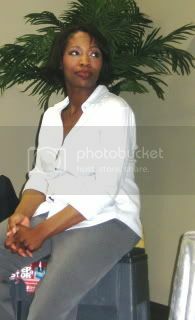 I decided to use Quenetta Gordon of Something Blue Ohio event planning as my model.. I am so glad she said yes... She is beautiful! I had the opportunity to prove to another, 'minimalist' when it comes to make-up, how natural she would look. By the time the evening had finished, I was able to offer my advice on an array of questions concerning make-up... It was so much fun! Until then, stay beautiful! 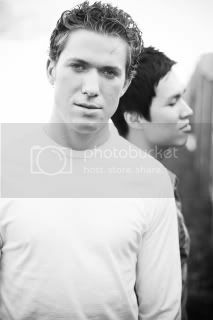 So, I promised to do a gorgeous guy alert, and while I think this entire posting should be about my hubby, (smile) I have dedicated the post instead to two male models, and pals I had the pleasure to work with last week. Our fabulous photographer was Shannon Williams Photography, whom I totally admire. Shannon photographed Arend, and Thomas in downtown Columbus on a gorgeous afternoon. Our music of choice was actually the bustling of on-lookers walking by, birds chirping, and the occasional honking female! Ha! 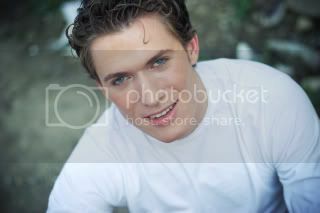 Here is Thomas.. Thomas is actually one of the top modeling agents in Ohio, but was a former model. Yep! I can see why! And Arend. I always tease Arend and tell him that he looks like a prince in once of those fairy tale books.. Look at his hair, eyes, and jaw-line! I have heard so many great things about Neutrogena's, 'Natural Radiance Bronzer', that I decided the perfect time would be to test it on this shoot! It went on amazingly smooth, and gave a warm, natural, healthy glow. Last, I ended with Burts Bee's lip balm. I love the way it conditions the lips, and gives a supple glow for men, and women! Stay tuned cookies! I have some great new postings coming. 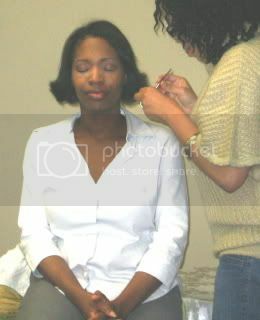 One involves my work with a local celebrity, the other, a speaking engagement, and a girls night out! Gotta run, beauty calls!